MICHIGAN (Bloomberg) – Daimler AG's Mercedes-Benz and its dealers are completing a $1.6 billion makeover of U.S. stores to lure younger buyers as the automaker expands its lineup. 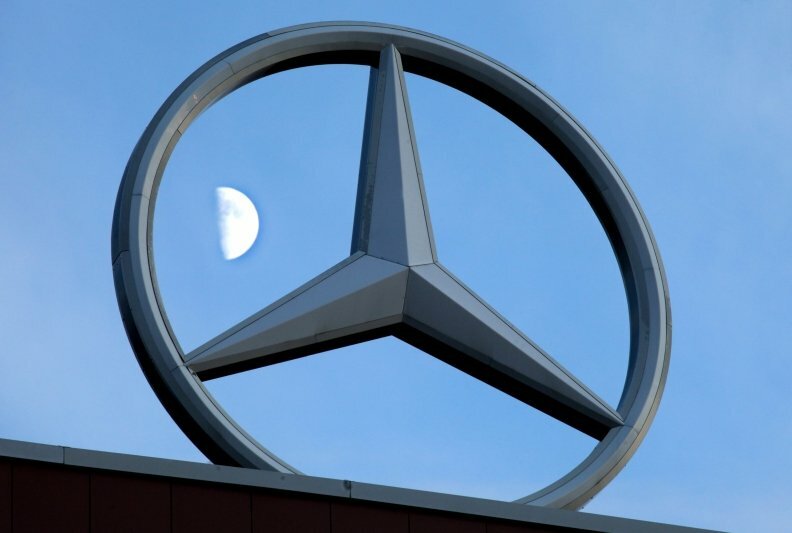 About 300 of Mercedes's 350 U.S. dealers will spend as much as $1.4 billion to update their facilities, Ernst Lieb, president of Mercedes-Benz's U.S. unit, said in an interview. Mercedes will contribute as much as $250 million to the project, which began in 2008, he said. Mercedes and BMW AG's namesake brand narrowed the gap in luxury cars and SUV sales last year with Toyota Motor Corp.'s Lexus, which has held the top spot in the U.S. since 2000. Mercedes and BMW outsold Lexus in January, and Lieb said Mercedes will have several new entries in its lineup within the next three years. “The first step is to update our facilities, and now we're working with the dealer body on having the sales force ready to sell the new products coming to showrooms,” said Lieb, who will meet with dealers this week at the National Automobile Dealers Association's annual convention in San Francisco. Mercedes already has announced a refreshed C-Class sedan will come to market later this year. The car was the automaker's top-selling model in the U.S. in 2010. Lieb said Mercedes aims to increase sales by more than 10 percent this year on demand for other new models such as the SLK roadster and M-Class SUV. “That is a substantial investment,” Randy Berlin, an auto-dealership consultant at Detroit-based Urban Science, said in a telephone interview. He said the approximately $5-million- per-dealership renovation Mercedes is making would be about half the cost of what is spent to build new stores in some markets. Mercedes dealers have to be confident that they're going to get a good return on the investment, Berlin said. “For them to commit $1.4 billion to upgrade their facilities, they must know there's going to be a pot of gold at the end of the rainbow to recoup that money,” he said. The brand will better compete with Lexus and BMW after it introduces additional small models that the company hasn't announced yet, Lieb said. Mercedes has already said it will launch coupe and SUV versions of its new compact car family in the U.S. in the next three years and is considering a third variant - a convertible or a shooting brake - to help win younger customers to the brand. Joachim Schmidt, Mercedes's global sales and marketing boss, said in an interview with Automotive News Europe last month that the automaker is developing at least four models based on its new MFA, or Mercedes Front-wheel-drive Architecture. “We will introduce the next generation of our MFA family to the U.S.,” Schmidt said. Two variants, maybe even a third, are planned for the U.S., he added. The coupe is planned for a U.S. launch in summer 2013, according to a company source. A small SUV aimed as a rival to the BMW X1 will follow in summer 2014. Both variants will go on sale in Europe three to five months ahead of their U.S. launch. Mercedes's renovated U.S. stores will have a consistent look throughout and are aimed at appealing to younger buyers, Lieb said. About half of the participating Mercedes dealers have completed renovations of their stores, Lieb said. An additional 130 are under construction, and the remaining dealers have until June 30 to complete their work, he said. Mercedes and BMW sell about 600 vehicles per dealer annually, compared with about 900 for Lexus, Urban Science's Berlin said. Lexus maintained its lead over BMW last year by 9,216 vehicles, less than half the advantage the brand held in 2009, according to data released by the companies. BMW's lead over Mercedes narrowed by more than a third, to 3,665 vehicles. The sales totals don't include non-luxury models such as BMW's Mini cars and Daimler's Smart cars and Sprinter vans. Mercedes U.S. sales rose 11 percent in January from a year earlier to 16,398, and BMW reported a 21 percent gain to 15,905, the companies said. Toyota's Lexus said sales declined 17 percent to 12,860.